HAJI MOHAMED DAWJEE: Where is the future of journalism? Who is the Judas in your life? How long will it take for District Six claimants to get restitution? CARTOON: Whose line is it anyway? The cash-strapped company warned of wider controlled power cuts on Monday after six additional generating units unexpectedly went offline. JOHANNESBURG - President Cyril Ramaphosa said on Monday the prospect of more power cuts by utility Eskom were "most worrying". "That comes as quite a shock. It is reported that there are six units that are down - that is most worrying, most disturbing," said Ramaphosa during a live Twitter broadcast. Eskom will need to shed more than 4,000MW to keep the national grid from collapsing. What this means is the state-owned power utility starts additional, unscheduled power cuts wherever it needs to and outside of its schedules. This also means your area can be hit by blackouts at any time without any warning. The country hasn’t reached this stage since 2008. Stage four will double the frequency of stage two, which means you will be scheduled for load shedding 12 times over a four-day period for two hours at a time, or 12 times over an eight-day period for four hours at a time. Eskom's Khulu Phasiwe says it's unclear what the situation will look like on Tuesday. Eskom says rotational load shedding protects the power grid from total collapse. The utility has been facing major challenges due to ageing infrastructure. Ramaphosa appointed a team in mid-December after the power utility was forced to repeatedly implement load shedding, partly due to a shortage of coal supplies. Meanwhile, the Minerals Council South Africa says the unexpected implementation of stage four load shedding is a safety risk for mines that have over 150,000 people working underground. Check your area's load shedding schedule here. View a load shedding data map on Cape Town here. 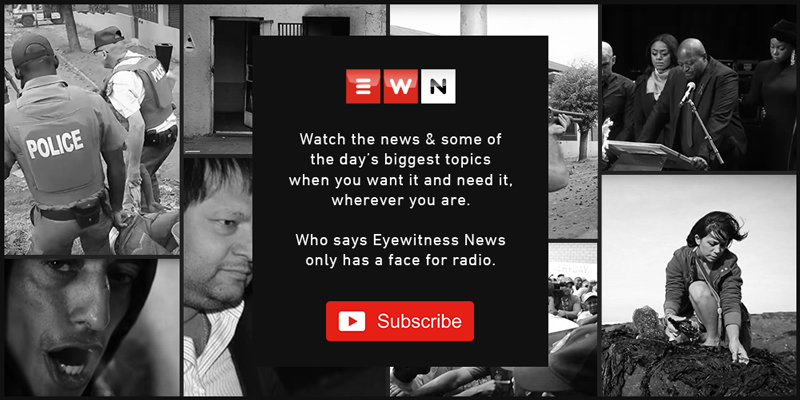 EWN welcomes all comments that are constructive, contribute to discussions in a meaningful manner and take stories forward. We ask that your comments remain relevant to the articles they appear on and do not include general banter or conversation as this dilutes the effectiveness of the comments section. We strive to make the EWN community a safe and welcoming space for all. EWN reserves the right to: 1) remove any comments that do not follow the above guidelines; and, 2) ban users who repeatedly infringe the rules. Should you find any comments upsetting or offensive you can also flag them and we will assess it against our guidelines. EWN is constantly reviewing its comments policy in order to create an environment conducive to constructive conversations. Let the news come to you. Subscribe to our daily newsletter.